We all know Alia Bhatt can strike the right notes, and she can shake a leg too. But, her latest ‘Ghar More Pardesiya’ from ‘Kalank ‘was different. No sooner had the song been released, Alia’a jangled nerves had calmed. 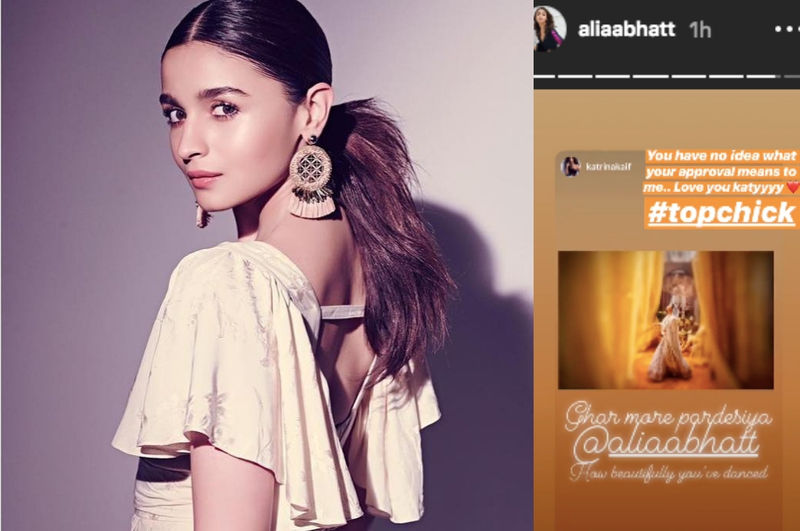 As praise poured in, it was however appreciation from one person which meant the most to Alia. The person in question, none other than Katrina Kaif , who generously praised Alia’s dancing “How beautifully you have danced,” wrote Katrina Kaif on Instagram. To which Alia’s responded ,”You have no idea what your approval means to me..Love you katyyyy. #topchick” Clearly, Katrina Kaif’s approval is top priority in Alia’s books! The one time BFF’s who were often spotted working out and hanging out together, may not be as close as they were in the past. Given their complicated dynamics, Alia may be seeing Katrina’s ex boyfriend Ranbir Kapoor – but that has made no dent in their affection for each other! 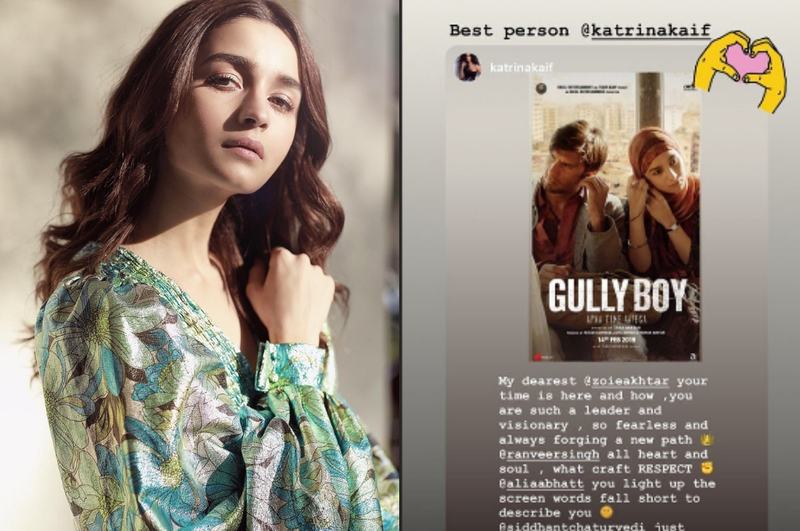 Katrina had previously praised Alia’s last Gully Boy, saying that she ‘lights up the screen’ and ‘words fall short to describe her’. 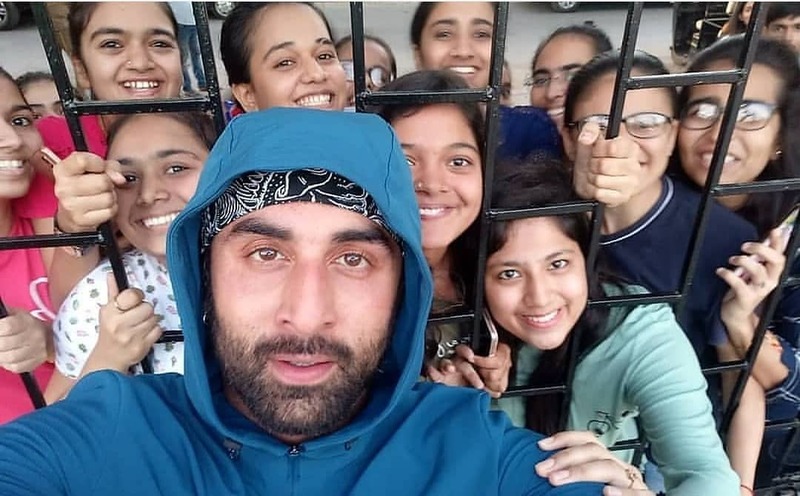 To this, Alia had thanked her; saying she was the ‘best person’. After all, don’t they say, it’s always sisters over misters! 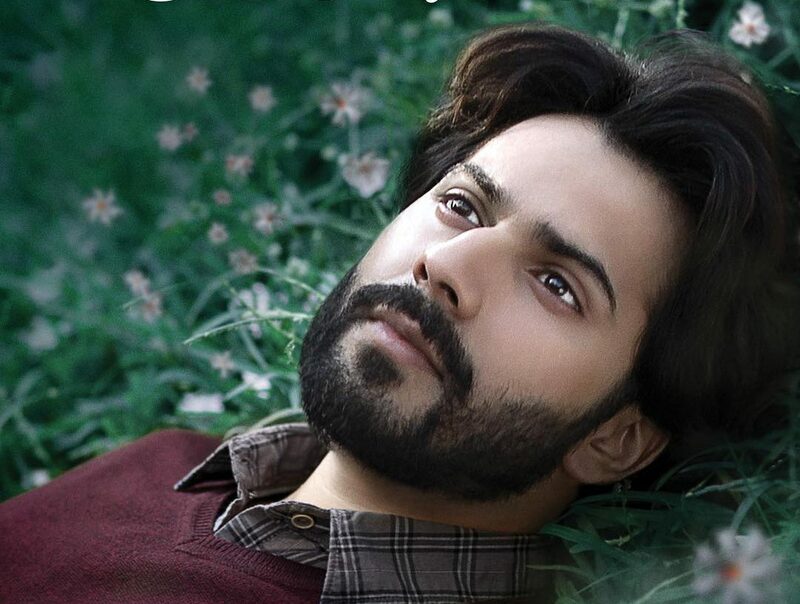 Catching Up With Varun Dhawan – The Most Hardworking ‘Student Of The Year’!